The LG G6 and the LG G6+ on U.S. Cellular are now receiving the Android 8.0 Oreo software update. While the carrier hasn't released a changelog, we know that the update will come with the US99720b software version. You should receive a notification when the update is available for your device. However, you can manually trigger the update by heading to Settings > About Device > Update Center > Software Updates. Here you can simply follow the onscreen prompts and install the update. Before installing the update on your handset, ensure your battery is fully charged and that you are connected to WiFi. 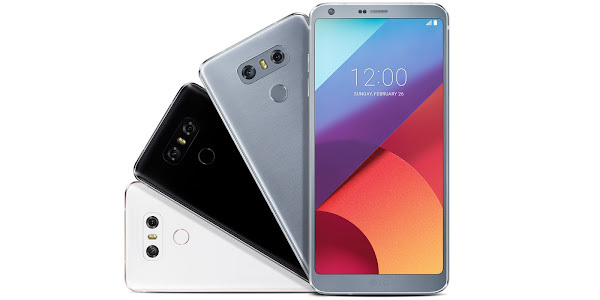 The LG G6 is an Android smartphone featuring a 5.7 inch display, 32GB of internal storage, a (13MP+13MP) dual camera setup, a secondary camera for video calls and is powered by a Snapdragon 821 processor with 4GB of RAM. The LG G6+ is almost identical but comes with 128GB of storage and features 32-bit Hi-Fi Quad DAC audio.